As the landscape of Emory's main campus continues to evolve, several of the projects in process have some new developments. Here is a look at what's coming. Project Status: The concrete structure of the new Health Sciences Research Building on Haygood Drive will be topped-out and steel placement for the mechanical penthouse will begin soon after. The five-story building will include research labs, offices, a large auditorium and a café in 200,000 square feet of space. 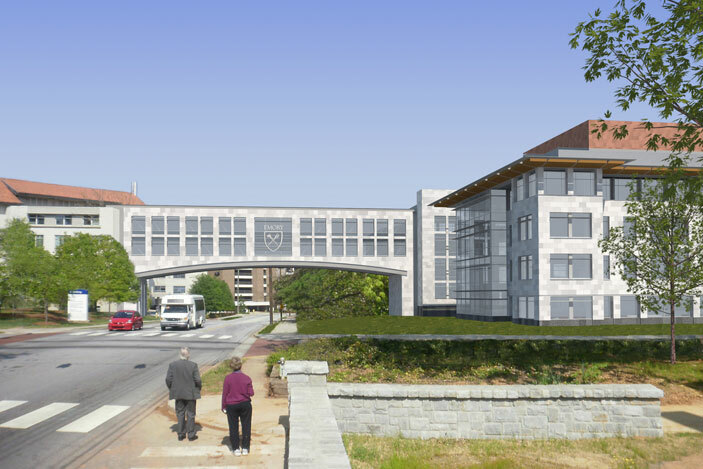 Campus Impact: A two-story bridge over Haygood Drive will connect the research building to the Emory-Children's Center and is expected to be placed between the buildings beginning in March. It is anticipated that Haygood Drive will be closed on two weekends from Andrews Circle to Clifton Road. There will also be lane closures on weeknights in the same area. Look for traffic alerts in campus communications and construction.emory.edu. Timeline: The Health Sciences Research Building is scheduled for completion in April 2013. 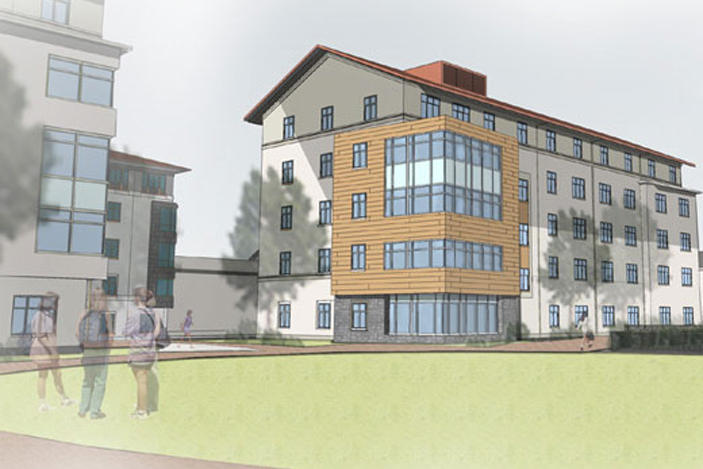 Project Status: The fourth phase of Emory's freshman housing, Hamilton Holmes Hall, is under way for the building that includes 125 beds in approximately 40,000 square feet of space. The five-story residence hall will repurpose harvested graywater to flush toilets and incorporates many sustainable design elements like bamboo flooring. Timeline: Hamilton Holmes Residence Hall, named after the first African American graduate of Emory's School of Medicine in 1967, will be ready for students to move in this August. In preparation for the fifth phase of freshman housing, Trimble Residence Hall will be demolished in May. Project Status: Planning is under way at The Emory Clinic to expand and enhance the Clinic A driveway and lobby. This project is the first of several initiatives needed to prepare the way for construction of a 210-bed expansion tower for Emory University Hospital. 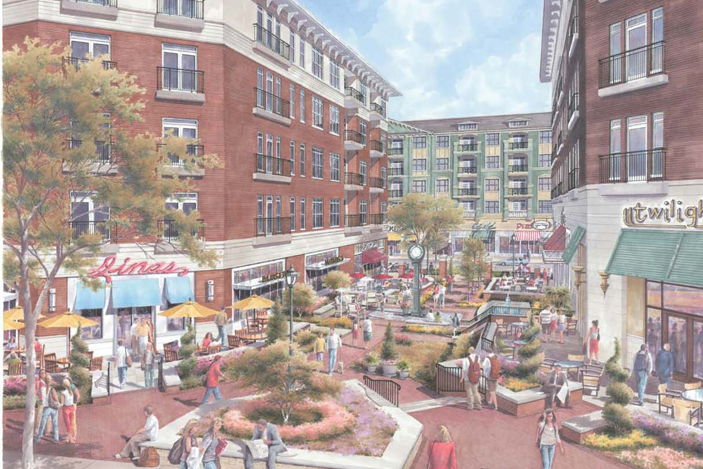 A driveway expansion will provide more room for cars and valet operations. The lobby and reception area inside Clinic A will also be enlarged. Result: Valet parking will be made easier and faster in the expanded vehicle arrival zone. An enclosed, air-conditioned pedestrian walkway from the Lowergate parking deck to The Emory Clinic will enhance self-parking. Timeline: The project is scheduled to begin construction by this spring, and will conclude in early fall. The new hospital bed tower is slated for completion in 2016 and will be located directly in front of Clinic B. Project Status: Yerkes National Primate Research Center broke ground December 2011 on a new dual function research building and a three-story addition to the neuroscience research facility. Integrated Research Addition: Construction on the new building will create approximately 19,000 square feet of space in a three-story expansion added on the Yerkes Neuroscience Building. The third and fourth floors will house the Emory Institute for Drug Discovery; the fifth floor will house Yerkes research staff. Dual Function Facility: Construction on this new three-story building began in January and will support infectious disease and transplant medicine. 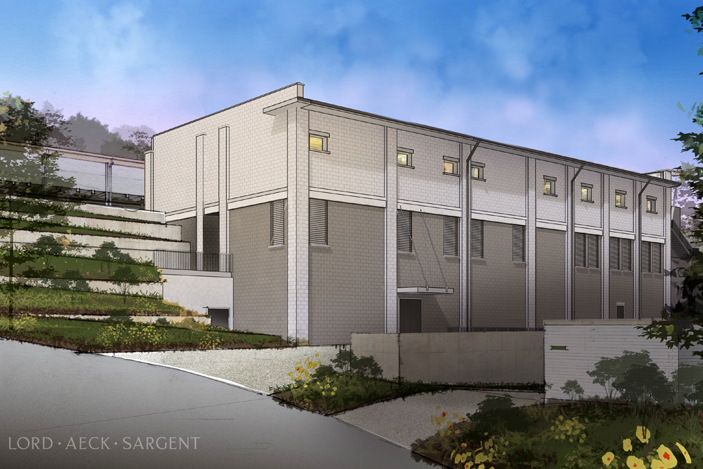 The building will include approximately 22,000 square feet of space and is nestled into the side of a hill, enabling each floor to have grade-level access. Timeline: The research addition is expected to be complete in October. Construction on the dual function facility, which is being built with stimulus funds from the National Institutes of Health, will conclude in March 2013. Project Status: Residential pre-leasing begins this spring on the mixed-use development on Clifton Road. The project is being developed by Cousins Properties and Gables Residential and includes street-level shops, restaurants and residential units. Campus Impact: Emory Point will provide new dining and shopping options for faculty, staff, students and visitors on the north section of campus. For commuters who currently drive to the Clifton Road corridor, the residential units will provide upscale apartments to facilitate walking, bicycling or taking the Cliff shuttle to work. Timeline: The first phase of the development includes 443 luxury apartments and 80,000 square feet of retail space and will be complete this fall.